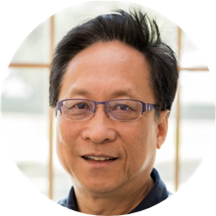 Dr. Chiu has been a dentist in the Fremont/Union City area since 1985. He received his undergraduate degree with Honors from Oregon State University, School of Pharmacy and his D.D.S degree with High Honors from the University of the Pacific, School of Dentistry in San Francisco. He is very involved in the surrounding communities and has chaired and volunteered in many charity projects for health-oriented non-profit organizations as well as traveling around the world to provide dentistry to the underprivileged. He is the Health Committee Chair of the Citizens for Better Community and has served as a board member of the Mission San Jose Chamber of Commerce, American Cancer Society California Chinese Unit and Asian American Donor Program. Although Dr. Chiu has been in this country for most of his life, he is fluent in Mandarin, Cantonese and the Shanghai Chinese dialects. When he is not doing dentistry, he also enjoys live music, traveling and fine dining. I was pleasantly surprised at how quickly Dr. Chiu got my wisdom tooth out. He is very professional and like his staff is competent and kind. I highly recommend this dentist’s office! All went well. Fast and pleasant. Always great! Friendly & nice staff, always a happy and clean place. My questions are always answered and I leave satisfied with my care. Great views from treatment area. Loved it! Everyone is so professional & respectful of my needs. (Especially Betty).